Our group has 5 papers at IEEE INFOCOM 2019 and 5 papers at IFIP Networking 2019. Please consider submitting your work on games in engineering education to our special session at ICL 2019. The deadline is June 03, 2019 (CfP). Slides of my talk "On the Power of Preprocessing and Reconfigurable Networks" at UESTC. Many thanks for the invitation! Our Survey of Consistent Software-Defined Network Updates was accepted at IEEE Communications Surveys and Tutorials. I am a Senior Editor on the Editorial Board of the International Journal of Engineering Pedagogy (iJEP). Please consider submitting your research, experiences, ideas, and perspectives in the field of engineering pedagogy. RADWAN: Rate Adaptive Wide Area Network accepted at ACM SIGCOMM 2018 (Video). Please also see the accompanying HotNets Dialogue by Brad Karp and Michael Walfish. Slides of the Dagstuhl Seminar 1801 on Scheduling (Report). Slides of DIMACS Workshop on Algorithms for Data Center Networks. Slides of NSF Algorithms in the Field (AiTF) Workshop on Algorithms for Software-Defined Networking. Klaus-Tycho Foerster, Stefan Schmid, and Stefano Vissicchio. IEEE Communications Surveys and Tutorials (COMST), to appear. Klaus-Tycho Foerster, Maciej Pacut, and Stefan Schmid. ACM SIGCOMM Computer Communication Review (CCR), April 2019. Jiaqi Zheng, Bo Li, Chen Tian, Klaus-Tycho Foerster, Stefan Schmid, Guihai Chen, Jie Wu, and Rui Li . IEEE Journal on Selected Areas in Communications (JSAC), Volume 37, Issue 5, pp. 968-981, May 2019. Sebastian Brandt, Klaus-Tycho Foerster, Benjamin Richner, and Roger Wattenhofer. IEEE/ACM Transactions on Networking (ToN), Volume 26, Issue 1, pp. 328-341, February 2018. ACM SIGCOMM Computer Communication Review (CCR), Volume 48, Issue 1, pp. 35-41, January 2018. ACM SIGCOMM Computer Communication Review (CCR), Volume 48, Issue 1, pp. 42-48, January 2018. Klaus-Tycho Foerster, Thomas Luedi, Jochen Seidel, and Roger Wattenhofer. Theoretical Computer Science (TCS), Volume 709, pp. 48-63, January 2018. Sebastian Brandt, Klaus-Tycho Foerster, and Roger Wattenhofer. Pervasive and Mobile Computing (PMC), Volume 36, pp. 134-150, April 2017. Klaus-Tycho Foerster and Roger Wattenhofer. Theoretical Computer Science (TCS), Volume 655, Part A, pp. 15-29, December 2016. Long Luo, Klaus-Tycho Foerster, Stefan Schmid, and Hongfang Yu. 27th IEEE/ACM International Symposium on Quality of Service (IWQoS), Phoenix, AZ, USA, June 2019. Klaus-Tycho Foerster, Andrzej Kamisiński, Yvonne-Anne Pignolet, Stefan Schmid, and Gilles Tredan. 49th IEEE/IFIP International Conference on Dependable Systems and Networks (DSN), Portland, OR, USA, June 2019. Klaus-Tycho Foerster, Laurent Vanbever, and Roger Wattenhofer. 18th IFIP Networking Conference (IFIP Networking), Warsaw, Poland, May 2019. Thomas Fenz, Klaus-Tycho Foerster, Stefan Schmid, and Anaïs Villedieu. Klaus-Tycho Foerster, Juho Hirvonen, Stefan Schmid, and Jukka Suomela. 39th IEEE International Conference on Computer Communications (INFOCOM), Paris, France, April 2019. Klaus-Tycho Foerster, Mahmoud Parham, Stefan Schmid, and Tao Wen. 22nd International Conference on Principles of Distributed Systems (OPODIS), Hong Kong, December 2018. 17th IEEE International Symposium on Network Computing and Applications (NCA), Cambridge, MA, USA, November 2018. Rachee Singh, Manya Ghobadi, Klaus-Tycho Foerster, Mark Filer, and Phillipa Gill. Annual Conference of the ACM Special Interest Group on Data Communication (SIGCOMM), Budapest, Hungary, August 2018. Klaus-Tycho Foerster, Manya Ghobadi, and Stefan Schmid. 14th ACM/IEEE Symposium on Architectures for Networking and Communications Systems (ANCS), Ithaca, NY, USA, July 2018. Jiaqi Zheng, Bo Li, Chen Tian, Klaus-Tycho Foerster, Stefan Schmid, Guihai Chen, and Jie Wu. 38th IEEE International Conference on Distributed Computing Systems (ICDCS), Vienna, Austria, July 2018. 17th IFIP Networking Conference (IFIP Networking), Zurich, Switzerland, May 2018. Emmy-Charlotte Foerster, Klaus-Tycho Foerster, and Thomas Loewe. 9th IEEE Global Engineering Education Conference (EDUCON), Santa Cruz de Tenerife, Canary Islands, Spain, April 2018. 21st IEEE Global Internet Symposium (GI), Honolulu, Hawaii, USA, April 2018. 16th ACM Workshop on Hot Topics in Networks (HotNets), Palo Alto, CA, USA, November 2017. 16th IEEE International Symposium on Network Computing and Applications (NCA), Cambridge, MA, USA, November 2017. Thanks for the travel grant by the Otto Mønsteds fond. Klaus-Tycho Foerster, Mahmoud Parham and Stefan Schmid. 3rd International Workshop on Algorithmic Aspects of Cloud Computing (ALGOCLOUD), Vienna, Austria, September 2017. 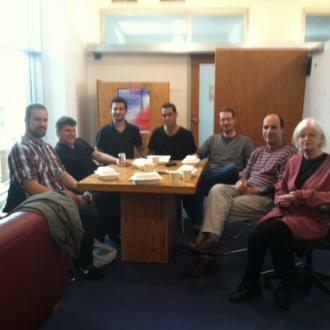 Danyang Zhuo, Monia /Manya/ Ghobadi, Ratul Mahajan, Klaus-Tycho Foerster, Arvind Krishnamurthy, and Thomas Anderson. Annual Conference of the ACM Special Interest Group on Data Communication (SIGCOMM), Los Angeles, CA, USA, August 2017. Klaus-Tycho Foerster, Linus Groner, Torsten Hoefler, Michael Koenig, Sascha Schmid, and Roger Wattenhofer. Klaus-Tycho Foerster, Oliver Richter, Jochen Seidel, and Roger Wattenhofer. Pascal Bissig, Klaus-Tycho Foerster, Simon Tanner, and Roger Wattenhofer. Pascal Bissig, Jan Deriu, Klaus-Tycho Foerster, and Roger Wattenhofer. Klaus-Tycho Foerster, Demian Jaeger, David Stolz, and Roger Wattenhofer. Klaus-Tycho Foerster, Ratul Mahajan, and Roger Wattenhofer. Nick Shelly, Brendan Tschaen, Klaus-Tycho Foerster, Michael Chang, Theophilus Benson, and Laurent Vanbever. Klaus-Tycho Foester, Rijad Nuridini, Jara Uitto, and Roger Wattenhofer. Klaus-Tycho Foerster, Alex Gross, Nino Hail, Jara Uitto, and Roger Wattenhofer. Klaus-Tycho Foerster, Jochen Seidel, and Roger Wattenhofer. mathematik lehren (ml), 32, No. 188, pp. 20-24, February 2015. Computer+Unterricht (C+U), 9, No. 36, p. 24, November 1999. Computer+Unterricht (C+U), 9, No. 36, pp. 22-23, November 1999. 17. GI-Fachtagung Informatik und Schule (INFOS) 2017. Oldenburg, Germany, September 2017. Beiträge zum Mathematikunterricht (BzMU) 2014. WTM-Verlag, Münster, pp. 373 - 376. Beiträge zum Mathematikunterricht (BzMU) 2013. WTM-Verlag, Münster, pp. 316 - 319. Beiträge zum Mathematikunterricht (BzMU) 2012. WTM-Verlag, Münster, pp. 273-276. Beiträge zum Mathematikunterricht (BzMU) 2011. WTM-Verlag, Münster, pp. 262-266. Klaus-Tycho Foerster, Michael Koenig, and Roger Wattenhofer. 13th International Congress on Mathematical Education (ICME), Hamburg, Germany, July 2016. ISBN 978-1544232102, 2017. Available on Amazon. PC-Games im Unterricht (Franziska Glatt). In: SWR2 Wissen, Südwestrundfunk, April 2, 2016. "Local Checkability, No Strings Attached: (A)cyclicity, Reachability & Dynamic Networks". Department of Computer Science, Aalborg University, Aalborg, Denmark, September 2016. Link external. "Local Checkability, No Strings Attached: (A)cyclicity, Reachability, Loop Free Updates in SDNs". Highlights of Algorithms (HALG), Berlin, Germany, June 2017. Link external. "On the Computational Complexity of some Consistency Properties in SDNs". Department of Computer Science, Princeton University, Princeton, NJ, USA, October 2015. Link external. "Software Defined Networks: Algorithms and Mechanisms". 3rd Annual Swiss Joint Research Centre Workshop, ETH Zurich, Zurich, Switzerland, February 2016. "Moving Network Flows without Congestion: Different Models, different Complexities". Department of Computer Science, Princeton University, Princeton, NJ, USA, June 2016. Link external. "Don't disturb my Flows: Consistent Migration in SDNs". NSF Algorithms in the Field (AiTF) Workshop on Algorithms for Software-Defined Networking, DIMACS Center, Rutgers University, New Brunswick, NJ, USA, June 2016. Link external YouTube. "On Consistent Migration of Flows in SDNs". Highlights of Algorithms (HALG), Paris, France, June 2016. Link external. "Consistent Migration of Flows in SDNs". HUAWEI France Research Center, Paris, France, June 2016. "Towards Lossless Data Center Reconfiguration: Consistent Network Updates in SDNs". DIMACS Workshop on Algorithms for Data Center Networks, DIMACS Center, Rutgers University, New Brunswick, NJ, USA, June 2017. Link external YouTube Thanks for the travel grant by the National Science Foundation. "Emerging Communication Networks: A Case for Automation and Formal Methods?". Department of Computer Science, Aalborg University, Aalborg, Denmark, April 2019 (with Stefan Schmid). Lower and Upper bounds for Online Directed Graph Exploration [slides]. 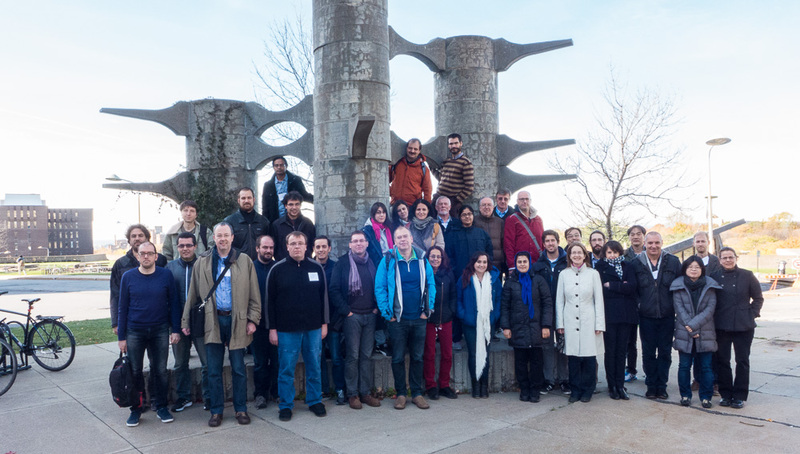 7th workshop on GRAph Searching, Theory and Applications (GRASTA-MAC 2015), Montréal, Canada, October 2015. Link external photo. Integrating Programming into the Mathematics Curriculum slides [German] [English]. "Nur was Du programmieren kannst, das hast Du verstanden!". Colloquium Mathematik im Mittelpunkt, University of Hildesheim, Germany, May 2017. Link programme. Internet Network Architectures group, TU Berlin, Germany, June 2017. Link external. Department of Computer Science, Cornell University, USA, July 2018. Host: Nate Foster. Preprocessing in Decentralized Network Optimization [slides]. Distributed Computing Group, ETH Zurich, Switzerland, December 2018. Host: Roger Wattenhofer. School of Information and Communication Engineering, UESTC, Chengdu, China, December 2018. Host: Hongfang Yu. Note that the following documents are sometimes drafts only or work in progress. Sebastian Brandt, Klaus-Tycho Foerster, Jonathan Maurer, and Roger Wattenhofer. ArXiv Technical Report, March 2019. ArXiv Technical Report, December 2018. ArXiv Technical Report, August 2017, last revised April 2018. ArXiv Technical Report, April 2017, last revised September 2017. ArXiv Technical Report, September 2016, revised February 2018, accepted version from October 2018. Technical Report, ETH Zurich, 2013. Please see the following paper by Velleman and Warrington where the conjectured number of roughly 1.61n moves was proven: What to Expect in a Game of Memory. Network Technologies, University of Vienna, Austria, Winter 2018. Operating Systems, University of Vienna, Austria, Summer 2019, 2018. Computer Engineering 2, ETH Zurich, Switzerland, Spring 2016. Discrete Event Systems, ETH Zurich, Switzerland, Fall 2015, 2014, 2013, 2012. Lecturer for the chapter Specification Models (State Charts and Petri Nets), Fall 2014, 2013. Distributed Systems, ETH Zurich, Switzerland, Fall 2015, 2014. Lecturer for the chapter Network Updates, Fall 2015. Seminar in Distributed Computing, ETH Zurich, Switzerland, Fall 2015, 2014. Principles of Distributed Computing, ETH Zurich, Switzerland, Spring 2014, 2013, 2012. Seminar Algorithmen und Informationstechnologie, University of Hildesheim, Germany, Summer 2011. Theoretische Informatik II, Braunschweig University of Technology, Germany, Summer 2008, 2007. Theoretische Informatik I, Braunschweig University of Technology, Germany, Winter 2007/08, 2006/07. Informations- und Kommunikationstechnologie (IuK), University of Hildesheim, Germany, Summer 2011 and Winter 2010/11. Fachpraktikum Mathematik, University of Hildesheim, Germany, Summer 2011 and Winter 2010/11. Operating Systems (with Stefan Schmid), University of Vienna, Austria, Summer 2019. Seminar zur Didaktik der Informatik 1, University of Hildesheim, Germany, Summer 2018. Didaktik der Informatik 1, University of Hildesheim, Germany, Winter 2017/18. Specialization Course in Distributed Systems, Aalborg University, Denmark, Fall 2017. Lecturer for the chapter Quorums and seminar student supervision. Mathematics and computer science in grades 5-13, Max-Planck Gymnasium Göttingen, Germany, November 2008 to October 2010. Fall 2017: Masterproject (Distributed Music, with Stefan Schmid) and SW 7 Project (Escaping the Filterbubble). Spring 2017: DAT 6 Bachelorproject (Automated Tourist Guide). For the 31 students mentored at ETH Zurich, please refer to my old website. Program Committee IFIP NETWORKING, Warsaw, Poland, May 2019. Program Committee ALGOCLOUD, Helsinki, Finland, August 2018. Program Committee IFIP NETWORKING, Zurich, Switzerland, May 2018. Program Committee IFIP NETWORKING, Stockholm, Sweden, June 2017. Senior Editor International Journal of Engineering Pedagogy (iJEP). IGIP Working Group Games in Engineering and Education. Program Committee (Co-Chair) ICL (Special Session: IGIP International Award for Games in Engineering Education 2019), Bangkok, Thailand, September 2019. Program Committee IEEE EDUCON (Special Session: GinEE: Games in Engineering Education), Dubai, Dubai, UAE, April 2019. Program Committee IEEE EDUCON (Special Session: Applications of Game-Based Learning), Santa Cruz de Tenerife, Canary Islands, Spain, April 2018. Program Committee IMCL (Special Session: Game-Based Learning), Thessaloniki, Greece, November 2017. Program Committee ICL (Special Session: Game-Based Learning), Budapest, Hungary, September 2017. Award Committee IGIP International Award for Games in Engineering Education 2018. Publicity Chair ALGOSENSORS, Patras, Greece, September 2015. CIAC, DISC, EDUCON, Euro-Par, ICALP, ICL, ICDCN, ICDCS, ICPP, ICDCS, IMCL, INFOCOM, MFCS, PODC, SEA, SIGITE, SIROCCO, SOFSEM, SPAA, SSS, etc. ACM SIGCOMM Computer Communications Review, ACM Transactions on Algorithms, IEEE/ACM Transactions on Networking, IEEE Transactions on Services Computing, IEEE Transactions on Network and Service Management, IEEE Communications Letters, IEEE Transactions on Network Science and Engineering, IEEE Journal on Selected Areas in Communications, Elsevier Computer Networks, Distributed Computing (Springer), Discrete Applied Mathematics, The Computer Journal, PLOS ONE etc. I also serve as reviewer for the Mathematical Reviews (MR) of the American Mathematical Society (AMS). I moreover served as an expert reviewer for the German-Israeli Foundation for Scientific Research and Development (GIF). January 2017 - January 2018: VILLUM FONDEN blokstipendier, Reliable Computer Networks (ReNet). January 2014 - September 2016: Microsoft Research: Software Defined Networks: Algorithms and Mechanisms. 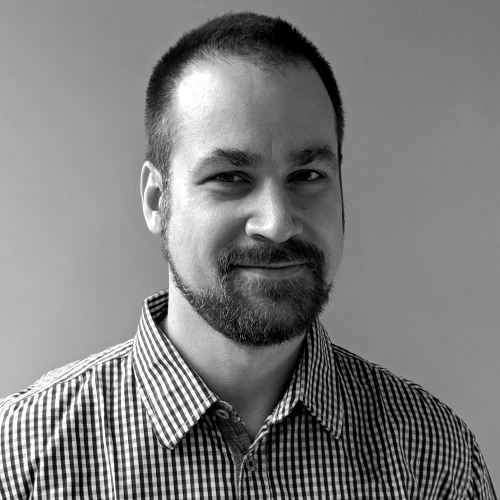 As of 2018, Klaus-Tycho Foerster is a postdoctoral researcher at the University of Vienna, Austria, working with Stefan Schmid. In 2017 he was a postdoc at Aalborg University, Denmark. He was a visiting researcher at Microsoft Research, Redmond, USA, working with Ratul Mahajan for Fall 2016. His doctoral studies took place from 2011 to 2016 in the Distributed Computing Group at ETH Zurich, Switzerland, under the supervision of Roger Wattenhofer. He received his PhD degree from ETH Zurich in September 2016. Prior to joining ETH as a research assistant, he earned his Diplomas in mathematics (advised by Sándor Fekete, 2007, pre-diploma 2005) and computer science (advised by Jirí Adámek, 2011, pre-diploma 2005), both at the Braunschweig University of Technology, Germany. In parallel, he worked for 11 months as a research assistant at the University of Hildesheim, Germany, with Barbara Schmidt-Thieme, and obtained his second state examination (advised by Eckart Modrow, 2010), teaching mathematics and computer science for two years at the Max-Planck Gymnasium Göttingen, Germany.